Beryllium Oxide (BeO), which is commonly referred to as Beryllia, is endowed with a virtuously unique combination of thermal, electrical, optical, and mechanical properties which may be exploited for a diverse range of applications from thermal management systems for integrated electronics to high temperature high performance refractory components for nuclear reactors. No other oxide ceramic material collectively exhibits these highly desirable properties and characteristics. BeO ceramic conducts heat more quickly than virtually all metals with the exception of copper and silver. Beryllia exhibits extremely low dielectric loss characteristics, possesses high electrical resistivity, and offers excellent strength with high specific stiffness properties. 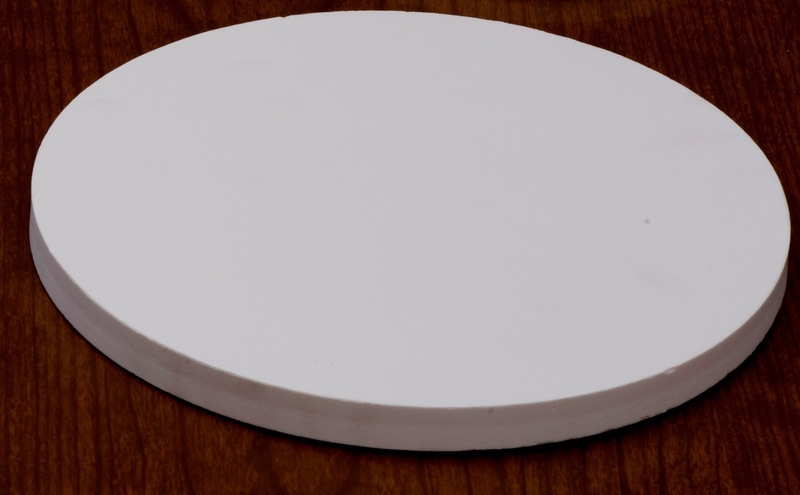 BeO provides all the desirable physical and dielectric characteristics exhibited by aluminum oxide or aluminum nitride and, in addition, offers thermal conductivity ten times higher than alumina, and fifty percent higher than aluminum nitride, a dielectric constant that is lower than both alumina and aluminum nitride, and weight per given volume that is fully a quarter less than alumina, and nearly ten percent less than aluminum nitride. As a thermally conductive and electrically insulating material its performance is exceeded only by that of diamond. Research and Development is a cornerstone of American Beryllia. Active research and development programs seek new product compositions, designs, and processes. To bring innovation to market, we employ the top scientists, engineers and technicians in our respective industries. By investing in R&D, we are able to successfully introduce new products on a timely basis, and deliver products that are appealing to our customers. Our Research partners are numerous. Here is a partial list of our distinguished Research and Development collaborators. The BERLOX® Ceramic Product Specification Sheet EPS-8001 is the compilation of the BeO materials property values. It includes the typical chemical composition and impurities, as well as the thermal, mechanical, and electrical properties, and tolerances of American Beryllia BeO products. The EPS-8001 Product Specification may be obtained by providing your contact information. • Apart from reactivity with water vapor at high temperature (1000°C), BeO is one of the most chemically stable oxides, resisting both carbon reduction and molten metal attack at high temperatures. • The thermal conductivity of BeO is extremely high in comparison with other ceramics, particularly below 300°C. For comparison, the thermal conductivity of Beryllium Oxide at Room Temperature is 285 W/mK, for copper it is 400 W/mK, for aluminum nitride it is 180 W/mK, and for diamond it is 2000 W/mK. • BeO is classified as an electrical insulator with a bulk Resistivity on the order of 1016Ωcm. •The mechanical strength is normally lower than that of alumina. Its fracture toughness is generally about half that of alumina; but with good design and controlled fabrication processing acceptable strength can be achieved for commercial applications of BeO. • BeO has relatively very good thermal shock resistance due to its high thermal conductivity. • Beryllium Oxide has a density fully 25% lower than Alumina. Comparing theoretical density values, BeO is 3.01g/cc while Al2O3 is 4.00 g/cc and AlN is 3.26 g/cc. • The Coefficient of Thermal Expansion for BeO is comparable to many other oxide ceramics and many metals, as well, at approximately 7.5 in./in./°C for the range from 25°C - 1000°C. 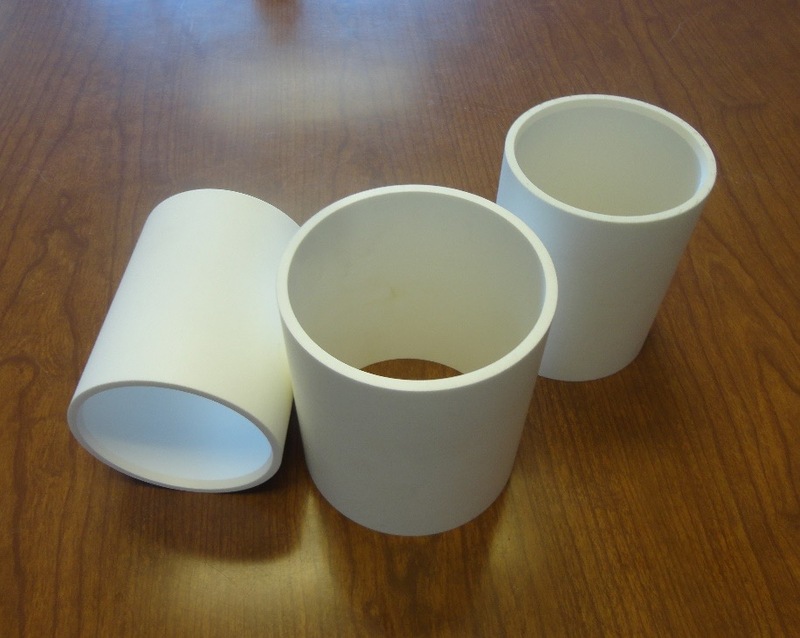 Sintered BeO is a very stable ceramic and is used in a variety of applications where both high thermal conductivity and electrical resistivity is needed. The electrical isolation of BeO is equal to that of alumina, aluminum nitride, and many other electrical insulators. With 20% lower dielectric constant than alumina and aluminum nitride BeO offers advantages for application in high-frequency fields. BeO ceramic is utilized for its proven superior properties and its cost effectiveness unmatched by aluminum nitride, aluminum oxide, boron nitride, silicon carbide or any other oxide ceramic. Thermal Conductivity is a measure of how well a material conducts or transfers thermal energy. Beryllia is the only material, other than diamond, that combines high thermal conductivity with excellent electrical insulating qualities. This chart compares the thermal conductivity of 99.5% beryllium oxide with other common electrically insulating materials. Beryllium Oxide(BeO) is a well-known prototype refractory oxide with a wide range of applications ranging from optoelectronic devices to nuclear reactors. Since BeO is a wide-band gapoxide crystal, its application as an ultraviolet (UV) transparent conduction oxide in flat-panel displays and solar cells can be promising. •Wurtzite Phase Band Gap: 10.4 - 10.6 eV. This design guide is intended to provide a basic outline of those factors which impact the cost of manufacturing and finishing Beryllium Oxide ceramic components. Due to the required precautions that are necessary for the safe processing of Beryllium Oxide ceramic components, typical costing economics that would otherwise be employed for other ceramic materials are not applicable. As such, a different set of design parameters, with an awareness of the different fabrication techniques,which are available and that could be used to realize finished components, are needed. Larger parts cost more per unit volume than smaller parts. This makes sense since the larger part clearly requires more material; and in the case of BeO, the powder required to make larger components becomes a major driving factor of the cost.Therefore designing parts using the smallest outline consistent with your application will keep the overall costs to a minimum. Consequently, an arrayed approach will often cost substantially more than utilizing small individual pieces, at least as far as the material cost is concerned. As-fired thickness of the beryllia ceramic is dictated by process limitations. Lowest cost is achieved by designing to the thickness ranges specified in the table below. Thinner substrates are available, but additional machining operations would be required. 0.250" square 0.025" - 0.030"
0.750" square 0.030" - 0.040"
1" square 0.040" - 0.050"
2" square 0.040" - 0.060"
3" square 0.040" - 0.060"
4" square 0.040" - 0.060"
4.5" square 0.040" - 0.060"
Flat components which can be pressed from dry powder having a minute amount of a binding material can be fabricated in both small and large volume at relatively very low cost when compared to other forming methods. Likewise rods and tubular shapes having lengthwise single or multiple holes can be extruded at very low fabrication cost. Adding features such as slots, blind holes, bosses, or steps increases both tooling and fabrication costs. Dome shaped and other more complex shapes more dramatically increase total component cost. Tooling is available to produce many shapes in a large variety of sizes. If a newly designed component is required for your application, a one-time tooling charge may be required. However these costs relatively less significant when amortized over the total number of components to be fabricated will not significantly impact part cost. As-fired tolerances for components having a length and width are typically ± 1% and thickness tolerance is typically ± 2% in all dimensions. As-fired tolerances are generally no less than 0.003". As-fired flatness is typically 0.004"; and as-fired camber tolerances for tube shapes will generally be 0.005" per 12" of length. Tighter tolerances may be requested and are achievable. Tighter tolerances will require some degree of post-fire machining operations and will result in higher overall finished component cost per unit. American Beryllia manufactures complex shaped parts having custom designs by exploiting an array of machining capabilities at our disposal. The materials used for custom components and value added products can be dry-pressed, isopressed, or extruded to rough form components. Subsequent manufacturing operations are used to realize the desired component features have the required customer defined tolerances. These components may be made with American Beryllia BERLOX® 99.5% material. CNC machining can be used when designs call for extremely tight tolerances, e.g. tolerances as low as 0.00008", 80 millionths. Tolerances in this magnitude can only be achieved by surface grinding materials. 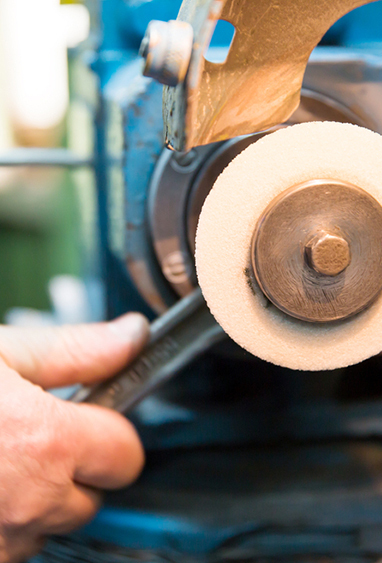 This process is also used to create complex features such as grooves, notches, chamfers, radii, and profiles. These features are generally achieved through the use of custom formed diamond machine tooling. It is recommended that American Beryllia BERLOX® 99.5% material is specified for these components. This material exhibits superior machinability and will hold finer surface finishes because the materials have been processed to have a smaller fired grain size. Ultrasonic drilling is used when a customer's tube or laser bore design has tighter tolerances on the ID than can be achieved by pressing. The ID of the tube or bores has to be drilled instead of pressed in. Hole sizes in the range of 0.030" - 0.200" with a straightness of up to 0.0001" inch per inch can be achieved using this method of fabrication. OD/ID grinding is a machining function that is used when a customer's design has a tighter tolerance on the OD and/or ID profiling than can be met by pressing alone. The part is OD and/or ID ground to meet specifications. This type of machining can also apply any form, including threads, to tolerances as low as 0.0001". CNC milling is a machining function that is used primarily to machine green (unfired) ceramic to near net shape. This reduces the amount of post-fired machining which is more time-consuming and, therefore, costly. This function can also be used to mill in pockets, grooves, etc. ABI unique portfolio of engineered materials has allowed us to develop engineering and design support that lead in the chemical, thin film, beryllium and alloy industries. Our ability to assist in the development of designs and processes that help our customers solve their technical challenges are what sets Materion apart in the advanced materials marketplace. ABI engineering design and prototyping team helps our customers bring their products to market. Our specialized expertise in optical coatings and specialized thin films enable us to develop unique, customized solutions to our customers' design challenges, and our dedicated deposition chambers enable us to provide prototypes quickly and cost effectively. Our highly experienced optical and thin film designers apply their many years of industry experience to solve a multitude of design- or performance-related problems. They work with a diverse set of technologies to deliver innovative and cost-effective solutions for a wide variety of products in consumer, automotive, telecommunications, science and aerospace applications. American Beryllia supplies Beryllium Oxide (BeO) powder with specifications to meet any application need. BeO powder is used for many applications including medical, nuclear, scientific, and commercial uses. Our standard powder specification can be found here. We do carry many grades of powder with different specifications and purities so if you need more information or have any questions, please contact us. Unlike fired Beryllia ceramics, special precautions need to be taken with BeO powder because of its hazardous nature. An SDS (Safety Data Sheet) can be found here. Beryllium Oxide solid materials are available from American Beryllia in a wide array of sizes and shapes. Custom formulated Epoxies, Encapsulants, and Fillers are manufactured at American Beryllia which are specific to the application requirements necessary to meet the goals of designers. Typically a modest Non-Recurring Engineering cost is associated with the developments of these compounds; and American Beryllium works closely with engineers to formulate high thermal conductivity pastes, potting compounds, and interfacial gaskets that provide the highest thermal conductivity values offered in the industry, for these material formats. Inquire with American Beryllia engineers to requests the materials set that best suits your application requirements. With 20% lower dielectric constant than Alumina and Aluminum Nitride BeO offers advantages for application in high-frequency fields. 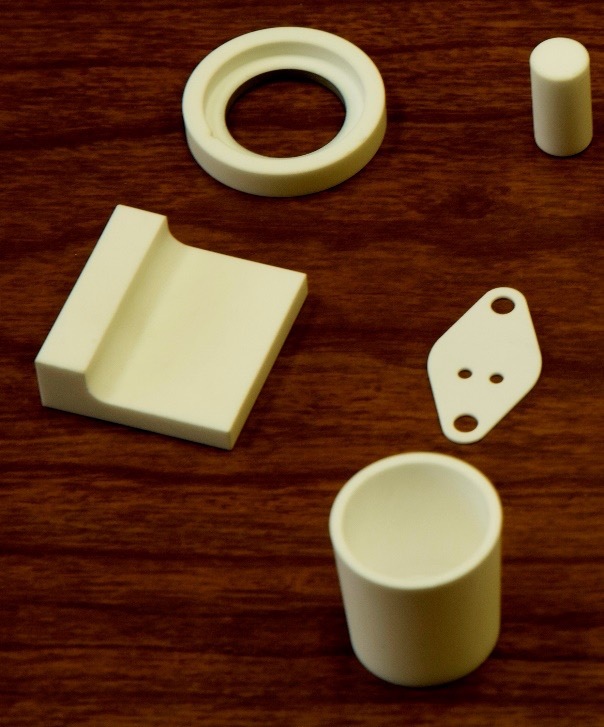 BeO ceramic has proven its superior properties and its cost effectiveness are unmatched by Aluminum Nitride, Aluminum Oxide, Boron Nitride, Silicon Carbide or any other advanced oxide ceramic.